You know the feeling. That special iFeeling. You walk into the Apple Store and immediately have the joy. Oooh. Aaah. “How cool would it be to have one of those? Just think how my photography experience would improve with THAT! I know I could be twice as productive with that phone!” My kids love the Apple Store too. “iDad, can I have one of these? I really need it for school!” My wallet climbs out of my pocket and prostrates itself across the “genius bar” before I notice and yank it back. I have an Apple Store a few minutes from my house. It’s my happy place. My car knows the way blindfolded. However, in spite of the fact that I have worked with personal computers since 1984 (yup, the PC-XT), I’ve been a dyed-in-the-wool PC/Windows guy for reasons related to the tech I practice, and have resisted owning an Apple (other than our many iPods, 7 or 8 I think, I’ve lost count). Well, I am officially no longer an iVirgin. I am swooning and smitten, shining with that lovely glow that only one’s first iMac can produce. 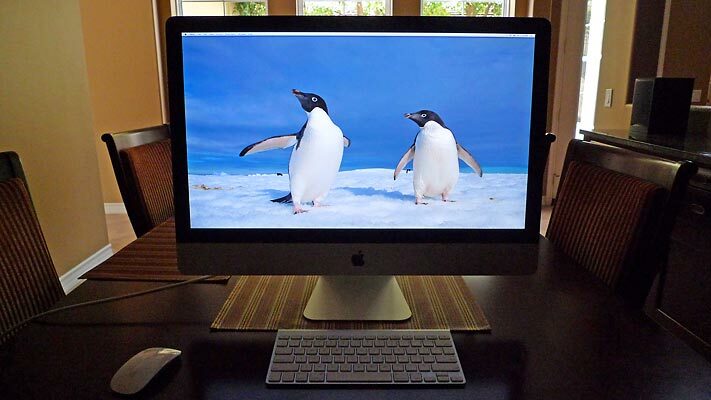 I just picked up a beautiful quad-core iMac 27″. I decided that, given the 30,000 images and hours of video I shot on my recent trip, and the limited time I have to get the images edited and prepped, I should at least have a fun new toy to make the process fun and go quickly. I’m also starting to switch some of my workflow to Lightroom. (I am using Lightroom 3 beta at the moment. It seems more stable on the iMac than on Windows.). 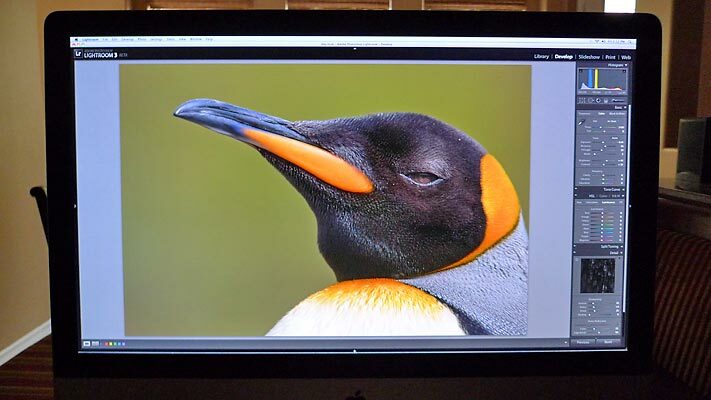 Given that Lightroom runs beautifully on a Mac, and the fact that the 27″ iMac monitor is so so sweet, I broke down and bought one. And guess what? Now I’m a hero with my iKids too! My girls have totally taken over the thing until the wee hours of the night when I kick them off and get down to work of editing my images, reliving the places I saw and the animals I met in glorious 27″ iReality. The monitor problem that everyone is reporting? Well, from the comments on the internet it is a real issue. My monitor may have the very faintest yellow tinge to it, it is hard to say. I tried this test: http://imac.squeaked.com/test.php and found no dead or stuck pixels (good thing), and depending on the angle of view there may be a bit of a yellow tinge to the lower portion of the monitor. So I guess I’ll have it checked soon. Apple says they have fixed the problem. So at least they recognize there is a problem and those who are affected may get some satisfaction. I’m moving forward with it. I was able to calibrate the monitor and get down to work with it, and am happy with the results. The screen is so large, with so many pixels, that working in Lightroom is a breeze even with all the panes opened up. So, as long as this gushing love story remains on my blog, you can assume I am happy with my iMac. But, like the fickle females that share my house, I may change my mind! And if I do, you’ll see a rant here and I’ll go back to my old CaptureOne software running on a Windows machine.